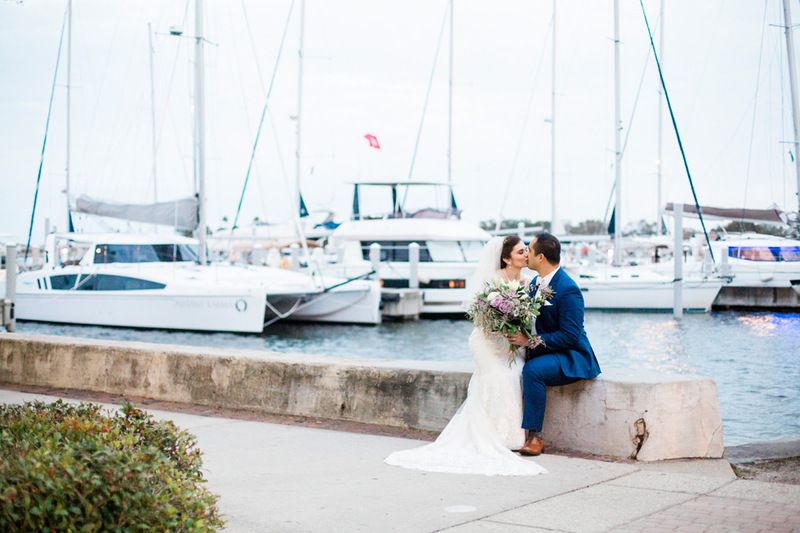 Caitlin + Arthur were recently celebrated their wedding in an absolutely gorgeous ceremony at the Vinoy in St. Petersburg, and it was such a beautiful day – we can’t wait to share some of the highlights from it! This sweet couple was married in an outdoor ceremony in the Tea Garden at the Vinoy, followed by an amazingly elegant reception in the Grand Ballroom. Every detail of their day was executed perfectly, and we were so honored to get to share in this special occasion with them! 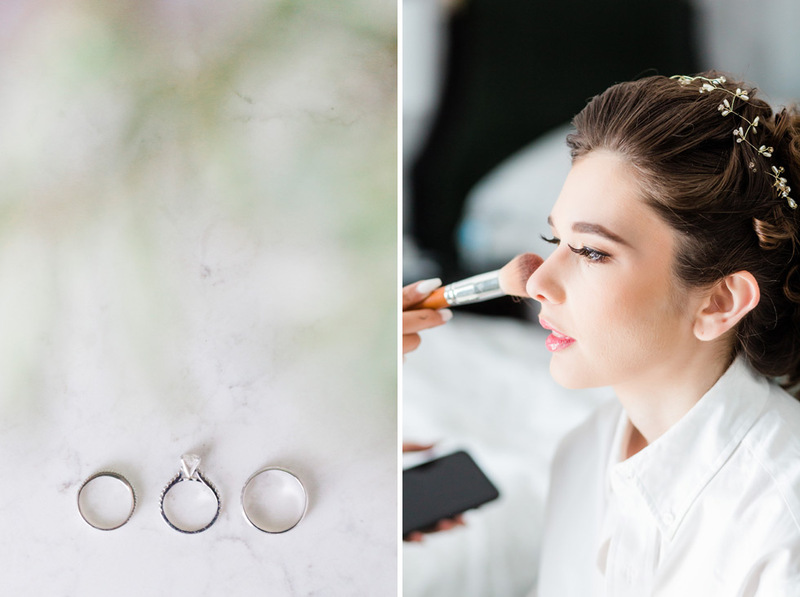 Our Founding Photographer Jeff was there to document all the gorgeous moments of Caitlin + Arthur’s big day, and we love all the amazing images he captured! Caitlin and her bridesmaids got ready for the big day at the Vinoy. 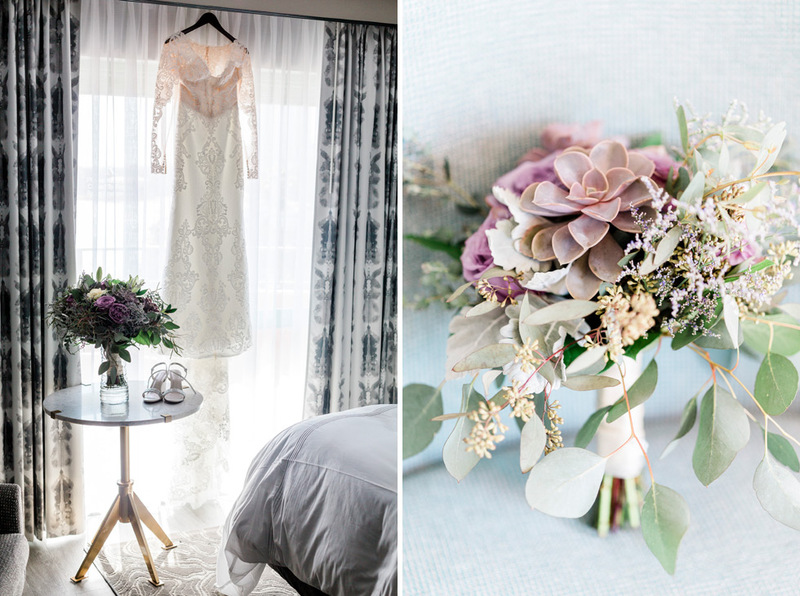 Caitlin chose to use gorgeous shades of sage and lilac in her flowers and throughout the decor used in the ceremony and reception – it was a beautiful combination and we just love the way it came together in her flowers! Caitlin looked simply stunning in her bridal gown – we loved how classically beautiful she looked! Caitlin + Arthur were married in an outdoor ceremony in the Tea Garden at the Vinoy. It was a touching, lovely ceremony and we were so honored to get to be there to witness it! Caitlin + Arthur were surrounded by the support of their family and friends who had traveled to share in this special day with them both. We love these sweet flower girls and their gorgeous matching dresses! 🙂 This is such a beautiful image of Caitlin + Arthur exchanging rings! Immediately after the ceremony we gathered the wedding party together for a few formal group portraits before taking some time to do portraits of Caitlin + Arthur together for the first time as newlyweds! Caitlin + Arthur’s reception was held in the Grand Ballroom at the Vinoy. It was a stunningly beautiful space for their celebration, and every detail of the room was coordinated perfectly by Lemon Drops Events. We loved the way that the same gorgeous greens and purples were used on the tables in the room! These pictures of Caitlin + Arthur’s first dance just make us smile! It looks like they are truly having the time of their lives! We love it! Congratulations on your gorgeous wedding, Caitlin + Arthur! Thank you for choosing us to share in this special day with you, and we wish you many years of happiness ahead!